This chapter has presented an overview of our current understanding of the mechanism of hormone action. The several models of membrane receptors and the operation of steroid receptors as transcription factors have been presented mostly in a generic sense. At the same time, reference has been made to specific hormonal systems that follow these models. Thus, many topics have been introduced that will be covered in greater detail in Chapters 3-20. As described in the Introduction, the current era of cellular and molecular endocrinology is flourishing. It is not yet possible to ascertain when its zenith will be at hand. Alberts, B., Bray, D., Lewis, J., Raff, M., Roberts, K., and Watson, J. D. (1983). "Molecular Biology of the Cell." Garland Publishing Co., New York. Becker, W. M., and Deamer, D. W. (1991). "The World of the Cell," 2nd ed., Figure 13-20. The Benjamin / Cummings Publishing Co., Menlo Park, CA. pp. 1-601. Bolander, F. F. (1994). "Molecular Endocrinology," 2nd ed. pp. 1-601. Academic Press, New York. Garrett, R. H„ and Girsham, C. M. (1995). "Molecular Aspects of Cell Biology," pp. 1-1100. Harcourt Brace, New York. Lehninger, A. L., Nelson, D. L., and Cox, M. M. (1993). "Principles of Biochemistry," 2nd ed., pp. 1-1103. Worth Publishers, New York. Lodish, H., Baltimore, D., Berk, Z., Zipursky, S. L., Matsudaira, P., and Darnell, J. (1995). "Molecular Cell Biology," 3rd ed., pp. 1-1341. Scientific American Books, New York. Nishizuka, Y., Tanaka, C., and Endo, M., eds. (1990). "The Biology and Medicine of Signal Transduction," Advances Second Messenger Phosphorylation Research, Vol. 24. Agutter, P. S., and Prochnow, D. (1994). Nucleoplasmic transport. Biochem. J. 300, 609-618. Amero, S. A., Kretsinger, R. H., Moncrief, N. D., Yamamoto, K., R., and Pearson, W. R. (1992). Mol. Endocrinol. 6, 3-7. Berridge, M. J., and Irvine, R. F. (1989). Inositol phosphates and cell signaling. Nature 341, 197-205. Carson-Jurica, M. A., Schrader, W. T., and O'Malley, B. W. (1990). Steroid receptor family: structure and functions. Endocrine Rev. 11, 201-220. Catterall, W. A. (1988). Structural and function of voltage-sensitive ion channels. Science 252, 50-61. Karin, M. (1992). Signal transduction from cell surface to nucleus in development and disease. FASEB J. 6, 2581-2590. Kaziro, Y., Itoh, J., Kozasa, T„ Nakafuku, M., and Satoh, T. (1991). Structure and function of signal-transducing GTP-binding proteins. Annu. Rev. Biochem. 60, 349-400. Luisi, B. F., Schwabe, J. W., and Freedman, L. P. (1994). The steroid/ nuclear receptors: from three-dimensional structures to complex function. Vitamins Hormones 49, 1-47. Montal, M. (1990). 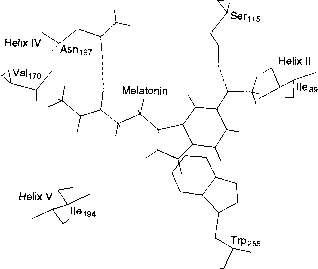 Molecular anatomy and molecular designs of channel proteins. FASEB J. 4, 2623-2635. Nemere, I., Zhou, L.-X., and Norman, A. W. (1993). Nontranscrip-tional effects of steroid hormones. Receptor 314, 277-291. O'Malley, B. W., Tsai, S. Y., Bagchi, M„ Weigel, N. L„ Schrader, W. T„ and Tsai, M.-J. (1991). Molecular mechanism of action of steroid hormones receptor. Recent Prog. Horm. Res. 47, 1-26. Pante, N., and Aebi, U. (1994). Towards understanding the three-dimensional structure of the nuclear pore complex at the molecular level. Curr. Opin. Struct. Biol. 4, 187-196. Rut, A. R., Hewison, M., Kristjansson, K., Luis, B., Hughes, M. R., and O'Riordan, J. L. H. (1994). Two mutations causing vitamin D resistant rickets: modeling on the basis of steroid hormone receptor DNA-binding domain crystal structures. Clin. Endocrinol. 41, 581-590. Taylor, C., and Marshall, I. (1992). Calcium and inositol-l,4,5-triphos-phate receptors: A complex relationship. Trends Biochem. Sci. 17, 403-407. Ulrich, A., and Schlessinger, J. (1990). Signal transduction by receptors with tyrosine kinase activity. Cell 61, 203-212. Anderson, R. G. W., Brown, M. S., and Goldstein, J. L. (1977). Role of the coated endocytotic vesicle in the uptake of receptor-bound low-density lipoprotein in human fibroblasts. Cell 10, 351-364. Bourguet, W., Ruff, M., Chambon, P., Gronemeyer, H., and Moras, D. (1995). Crystal structure of the ligand-binding domain of the human nuclear receptor RXR-a. Nature 375, 377-382. Devos, A., Uhsch, M., and Kossiakoff, A. (1992). Human growth hormone and extracellular domain of its receptor. Science 255, 306-312. Hard, T., Kellenbach, E., Boelens, R., Maler, B. A., Dahlman, K., Freedman, L. P., Carlstedt-Duke, J., Yamamoto, K. R., Gustafsson, J.-A., and Kaptein, R. (1990). Solution structure of the glucocorticoid receptor DNA binding domain. Science 249, 157-160. Hughes, M. R., Malloy, P. J., Kieback, D. G., Kesterson, R. A., Pike, J. W., Feldman, D., and O'Malley, B. W. (1988). Point mutations in the human vitamin D receptor gene associated with hypocalcemic rickets. Science 242, 702-1705. Luisi, B. F., Xu, W. X., Otwinowski, Z., Freedman, L. P., Yamamoto, K. R., and Sigler, P. B. (1991). Crystallographic analysis of the interaction of the glucocorticoid receptor with DNA. Nature 352, 497-505. Mangelsdorf, D. J., Borgmeyer, U., Heyman, R. A., Zhou, J. Y., Ong, E. S., Oro, A. E., Kakuzuka, A., and Evans, R. M. (1992). Characterization of three RXR genes that mediate the action of 9-cis-retinoic acid. Genes Dev. 6, 329-344. Rhee, S., and Choi, K. (1992). Regulation of inositol phospholipid specific phospholipase C isoenzymes. /. Biol. Chem. 1&1, 1239312396. Snyder, S. H. (1992). Nitric oxide: first in a class of neurotransmitters. Science 257, 494-496.